The Two-Bedroom Apartment offers two bedrooms, one with a double bed and one with 2 single beds. 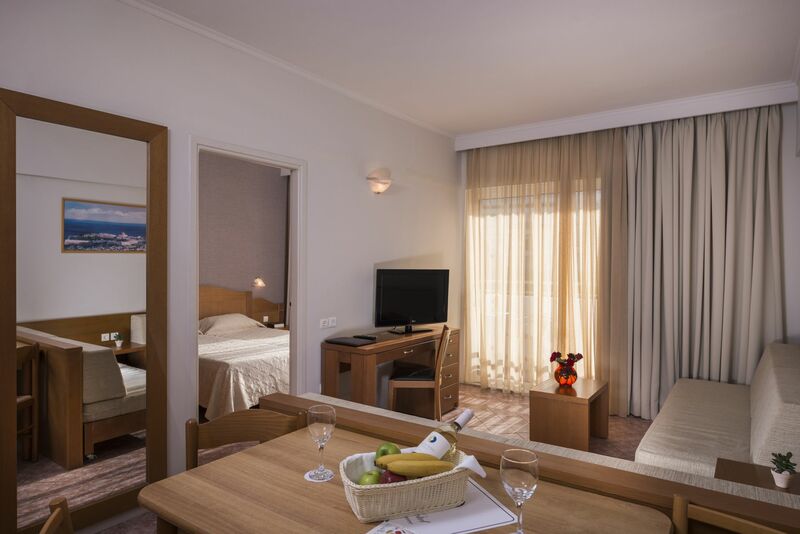 It can accommodate a maximum of six guests and is suitable for families. 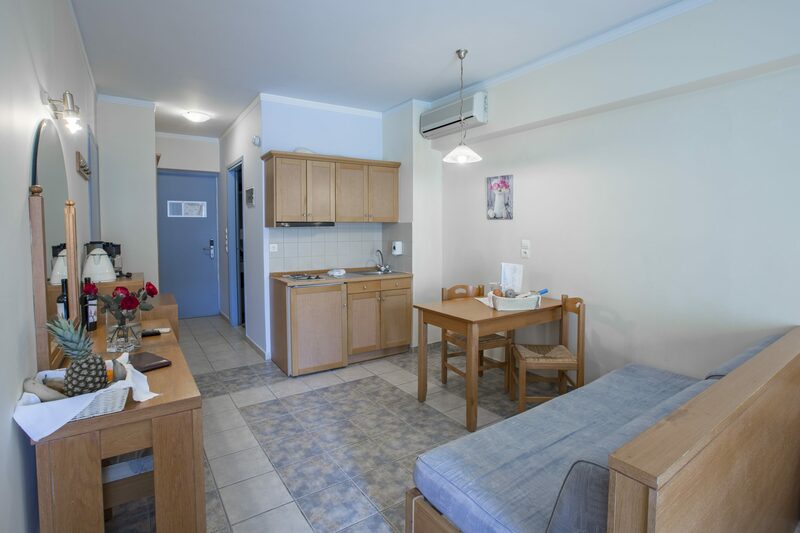 The One-Bedroom Apartment offers a bedroom with a double or two single beds and can accommodate a maximum of four guests. It is suitable for couples or families of four. 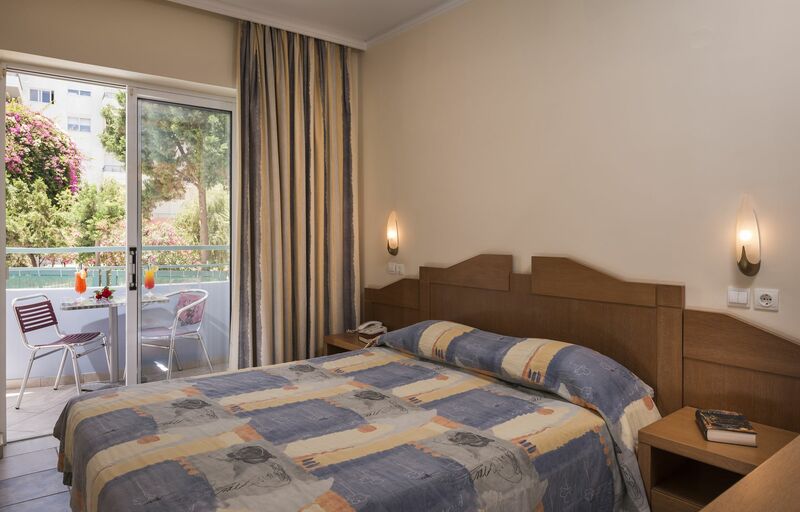 The Studio offers a double or two single beds, can accommodate a maximum of three guests and is suitable for couples and families of three people.